Posted by Teresa Mihelic HelpDesk on Monday, January 21st, 2013 at 2:09pm. Comtemporary Ocean View Home for Sale! This beautifully designed Paul McClean contemporary beach home has 4 bedrooms, 3 1/2 bathrooms, an office, a living room, and an open Ernestomeda designed kitchen, with Miele appliances throughout, which flows out onto a large deck offering mind blowing white water views of the Pacific Ocean. The entire house is equipped with "smart" technology which controls its indoor/outdoor speakers, HVAC, TV's, window shades, cinema screen, and lighting, all from the touch of an iPad and iPhone. The master bedroom, with a large walk-in, Montanari designed, closet opens up onto its own large private terrace with a meditation garden. 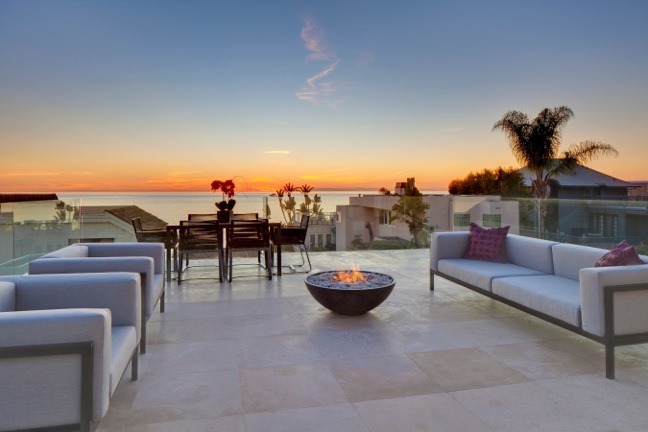 The home captures the true essence of Southern California indoor/outdoor living. Follow the link below for more information pictures and detailed information about this home.